Suffolk is a wonderful destination to visit at any time of the year. From spring time through to winter, you can choose from an enviable range of festivals and events taking place throughout our beautiful county. Choose from country music festivals, walking festivals, food and drink festivals or a summer concert by the sea. Suffolk really does offer a myriad of events. Some of the key festivals happening during the year include the Aldeburgh Literary Festival in February, the Suffolk Food and Drink Festival and the Alde Valley Spring Festival in April, the Suffolk Walking Festival in May, the Aldeburgh Festival of Music and Southwold Arts Festival in June, Maverick and Latitude Festival in July, Snape Proms during August, Aldeburgh Food and Drink Festival in September, Woodbridge Shuck Festival in October and the Southwold Way with Words Festival in November. Suffolk even offers a range of “paw-fect” events for your four-legged friends. These include “Woofbridge – a Bark in the Park” in March, “All about Dogs” in April and the Suffolk Dog Day in July. So don’t leave your best friend at home, choose one of pet-friendly cottages and join in the fun! Our picturesque county also offers key times of the year for wildlife and nature lovers to visit. RSPB Minsmere – home of BBC Springwatch - offers many seasonal highlights throughout the season, where you can spot anything from avocet to migrant birds, red deer to badgers. Our bluebell season (end of April / beginning of May) offers visitors an uplifting opportunity to meander through woodlands carpeted in bluebells. For a wildlife-inspired short break or holiday, visit the boxing hares on Havergate Island near Orford or witness the “red deer rut” which takes place every October. Westleton Heath, which is located within the Suffolk Coast and Heaths AONB, is an excellent place for viewing this exciting spectacle. For a more thrill-seeking experience, you can even join an educational “4x4 red deer rut tour” which is organised by RSPB Minsmere each year. 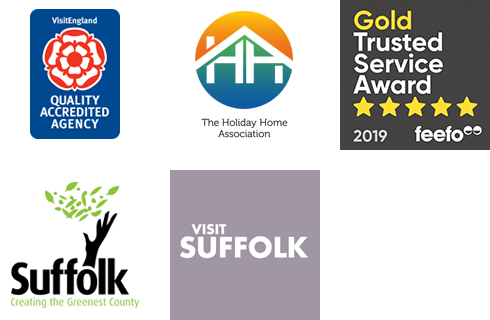 Our range of VisitEngland inspected holiday cottages in Westleton and Minsmere are perfectly located for visiting Westleton Heath during the rutting season. You’ll be spoilt for choice for things to do in Suffolk at this time of year. Suffolk is a great place to be in during April and May with beautiful bluebells scattered across the woodlands. Start your summer with a bang from Suffolk’s choice of events. You won’t be short of things to do in Suffolk this summer. The weather may be getting cooler but that doesn’t make Suffolk any less enjoyable! Suffolk is a splendid county to enjoy the festive season with loved ones.